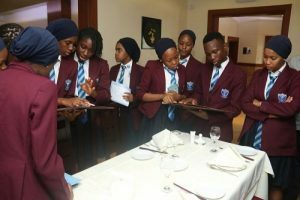 The Nigerian private school sector is highly saturated and as such, it is becoming increasingly difficult for school owners to grow student enrollment consistently. Parent, guardians and decision makers are becoming more sophisticated and selective as they look to settle down with an institution which caters to the immediate educational needs of their wards and most importantly sets them on the right path to a successful career and future. 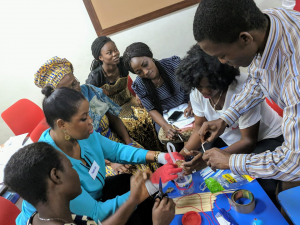 While there are many uncontrollable factors that affect the growth of enrollment rates, here are some of the most effective hands-on strategies that help your school leverage its strengths to stand out in a fully saturated market and boost enrollment rates for your private school in Nigeria. In order to establish your school in your community and successfully market it far and wide, it is important to create a remarkable brand. So much more than just a catchy logo and great graphics, your school’s brand is that defining factor that differentiates you from the crowd. It describes your story, your unique advantage and communicates why your school is the top choice amongst the rest. 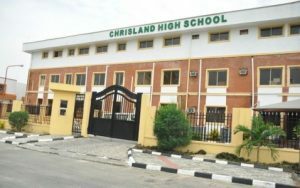 To craft a strong brand that sets your school apart from the other private schools in Nigeria, find out what it is that makes your school special; what influenced parents in selecting your school as final choice for their wards; do you have programs that help struggling learners; are there counseling opportunities; what special extracurricular activities to your offer enrollees. Responses garnered from this come together to define your school’s unique selling point(s) which helps you form a solid brand identity and as a result boost enrollment rates. Your school’s website is one of the most important marketing and communication tool at your disposal. Parents will look to the web to research every school online before settling on their final choice. An easy to navigate website must be populated with all relevant information regarding the school, a parent needs to make a decision. Your website should communicate your brand effectively, display school programs, show testimonials and present enrollment information. Most importantly, for your website to help drive enrollment rates for your school it must reflect your brand as well as your unique approach to learning and guidance for students at all stages of their life. 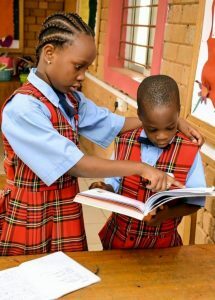 Word of mouth is by far the most effective strategy leveraged by Nigerian schools to boost enrollment rates. Take advantage of your existing pool of highly satisfied parents and access their networks by recruiting them as Parent Ambassadors for your school. These parents boost your grassroots marketing efforts by reaching out to other parents in their family network, church network, neighborhoods, and workplace. The ideal Parent Ambassador is selected as a result of their visible passion for the school, their reputation and credibility within their network, relevant connections in the community and most importantly their willingness to join the program. To support this program, an active forum should be created – preferably online with a Facebook Group – where important information is shared and the Parent Ambassadors are constantly inspired to be active. Incentives for the Parent Ambassadors may be decided upon based on your discretion. Every parent desires the best education for their child; however, most are unable to meet up with the financial implications of enrolling their child in a top performing school. Offering financial aid to such parents is a great way to attract and retain more students in your school. 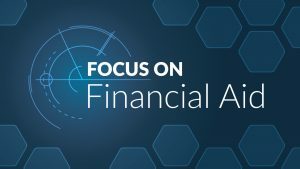 Financial aid can come in the form of flexible fee payment, access to school loans, and access to grants and scholarships. 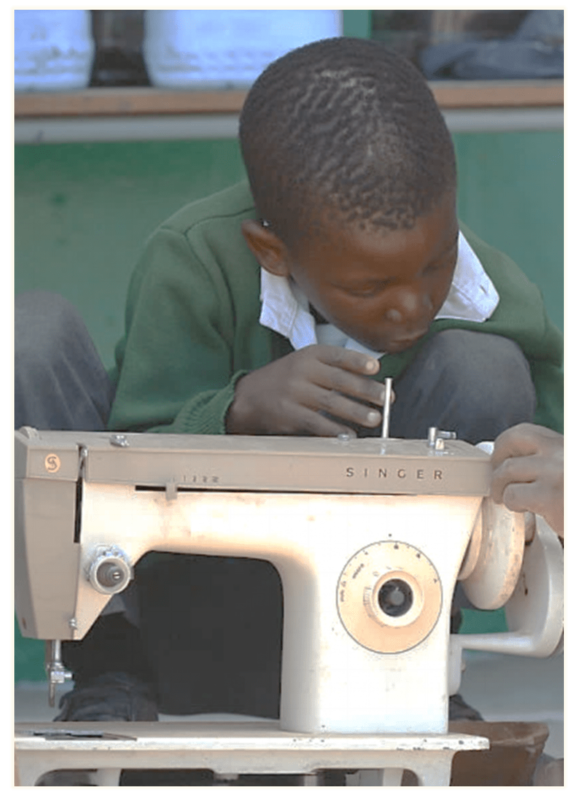 For schools using services such as School Credit*, their parents are granted access to collateral-free loans to meet their tuition needs at an affordable interest rate. These loans are processed with minimal documentation and disbursed within 24 hours of approval. Financially savvy parents will naturally gravitate towards these schools, and as result enrollment rates begin to grow. 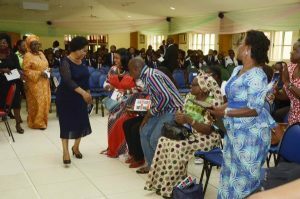 The added advantage of this service is it also allows schools to take out loans to invest in the infrastructural development of their schools which in turn also delivers a positive effect on enrollment rates. Increasingly, schools are taking advantage of the internet and social media to create a wider reach in the market. Your first step should be to create a social media account, most importantly Facebook and Twitter, and share special events, stories, accomplishments, and announcements with the general public; if setting this up is too tedious to add to your overwhelmingly full to-do list, AllPro Tech can handle this process at no cost. Encourage students, teachers, and parents to get involved on these platforms. Parent Ambassadors should be encouraged to leave positive and educative reviews on the school’s social media pages. Online and social media adverts must be well designed, direct and engaging. 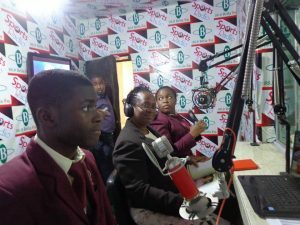 With the use of social media platforms advertising tools, schools are able to hyper-target their adverts, thereby delivering tailored promotional messages to a specific audience. This is a great and cost-effective way to boost enrolment rates. 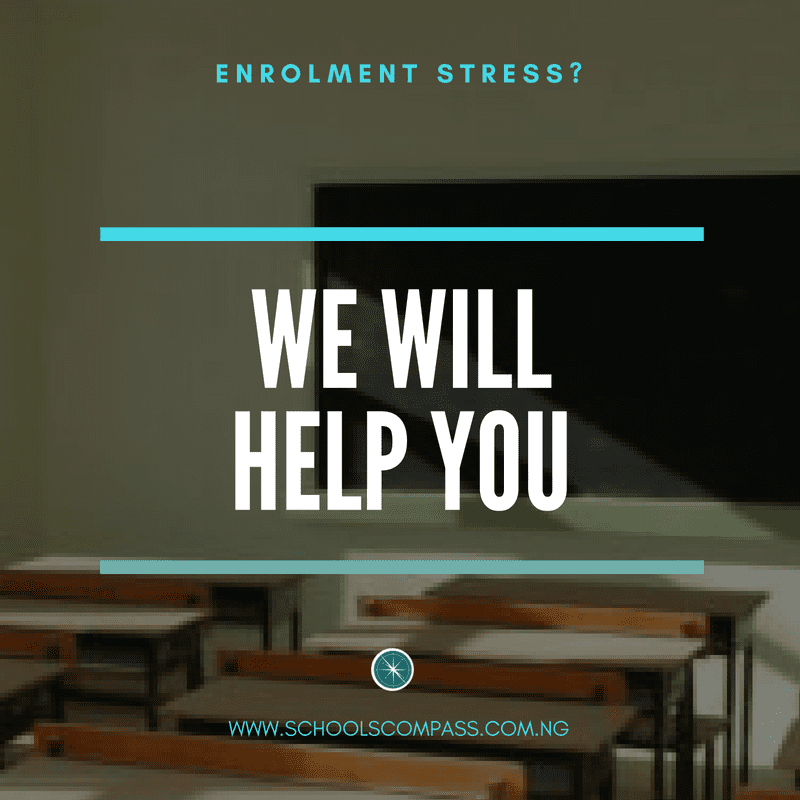 Generating and consistently growing enrollment rates is arguably one of the most daunting tasks faced by the school administrator in Nigeria, adopting the right strategies and implementing them in a timely and effective manner is the difference between a constantly struggling school and a highly sort after top performing school. Feel free to try out the strategies listed in this article and leave a comment on your progress below. 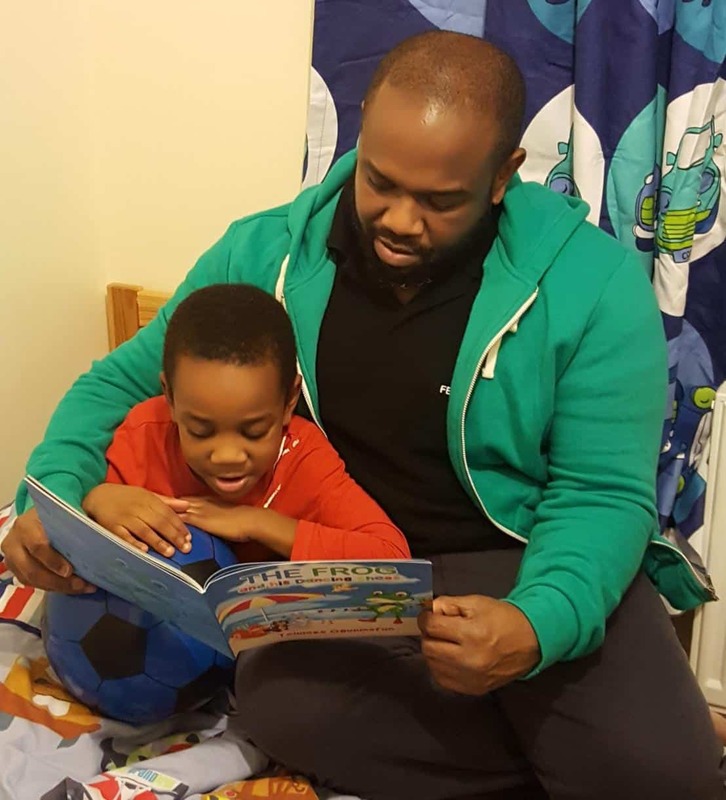 Finding the best stories for primary school children is essential for all parents who wish for their children to begin developing reading habits. The earlier the better! In the first place, it is important to note that children ought to start reading at their own beat, without it being forced upon them. Reading time ought to be pleasant, about discovery and never an obligation. Driving a child to read may create the correct inverse outcome to which we are looking for. Reading is loaded with joys and an approach to find new things. This is what we want them to understand. Stories composed for primary school children will help them to grow their creative ability, picking up their attention with animals, wizards, princesses… the sort of components that go into children’s fantasies. 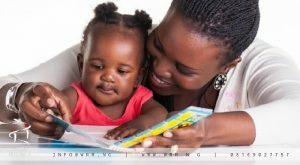 Likewise, young children are in an imperative learning stage, so storybooks are an incredible method to strengthen their insight of the alphabet, words and different materials. Which are the most appropriate stories for primary school children? The best stories for primary school children are the ones that associate components from inside their creative energy, to the things around them, in reality, and in their present everyday lives, for example, school, friends, pets, pets and so on. The language utilized ought to be simple and easy to understand. No confused words or complex paragraphs, they should contain differed scenes, short description and however much activity as possible. Children lose interest rapidly! It is likewise perfect that stories for primary school children answer questions concerning themselves and subtly guide them towards what is good and bad. 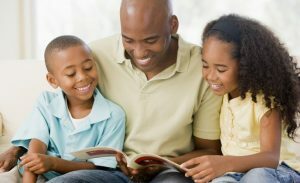 Children’s stories are a superb method to prepare young people for the many events and choices that will come into their lives. 1. The incomparable works of art. similar ones that they read as children. 2. Children’s stories: Likewise works of art however with ethics and stories that keep on applying. 3. Recent stories to bring awareness: Short stories in regards to bullying, respect, tolerance and so forth. 4. Locally adjusted legends: There are numerous stories for children that have been adjusted from memorable legends to enable them to understand their way of life. 5. Interactive stories: Technology has additionally made it into children’s stories! On the internet, it is possible to discover numerous stories with coordinated sound and visual impacts that the younger ones will love. Choosing one type or another depends on the parents, of course, but it is recommended to use a wide variety. This way, we can help prevent the child from becoming bored and we will give them the chance to find out about many different types of situations. This is why the best stories for primary school children are the ones that awaken their creative ability, that opens them up to new universes, and above all, have the broadest variety available to them! – The brave tin soldier by Hans Christian Andersen: A record-breaking great book children can learn values from, a story that both their parents and grandparents knew before them. – Aladdin by Greg Couch: Another work of art, however, enables kids to find out about another culture, in a fantastic surrounding. Furthermore, if that wasn’t sufficient, it will help them to remember one of their favorite movies! – The tortoise and the hare by Aesop: A story that never gets old. It is a story to enable children to find out about the significance of effort and perseverance, and furthermore about competing in a healthy and honest way. – Samankwe and the Highway Robbers by Cyprian Ekwensi: Set in present-day eastern Nigeria this adventure story is centered around the prevalent problems of robbery and crime. – Without a Silver Spoon by Arowolo Femi: It tells the story of Ure Chokwe’s determination to go to school in spite of his poor background. – Flying Tortoise By Anezi Okoro: Okoro takes on the classic folktales of Igbo culture in this novel. For the first time, Tortoise leaves his home on earth to explore outer space, taking on environmental problems and the timeless themes of mankind and society. – How the Leopard got its claws by Chinua Achebe and John Iroaganachi: Recounts how the leopard got his claws and teeth and why he rules the forest with terror. – The First Corn by Mabel Segun: This is an exciting story of how a man got his first seed of corn. The vocabulary is graded and the story is rendered in simple and conversational English. – Sugar Girl by Kola Onadipe: A Juvenile fiction literature book of how Raila got missing from home under mysterious and unfortunate circumstances. Thereafter, she goes through ordeals, one after the other: First in the hands of a wicked witch and then a hunter. Will she survive these ordeals and return home…and under what circumstances? When you set out to discover stories for your kids, you will discover hundreds and hundreds to choose from. The most critical thing is that your children appreciate them, paying little mind to the sort you picked. And furthermore, don’t be surprised if you find yourself getting more enjoyment from reading than they get from listening. It is a weekday morning and you are spellbound, excited, active, and most importantly, feeling like you are an important part of a whole. It is time to go home but you want to linger a bit more in such a wonderful environment that you reluctantly leave, thinking about how long it would be to return, then wake up early the next day, eager to go back to this environment that you are pleased to be a part of. Does this sound familiar? Probably. Can you relate these feelings to your primary and secondary education? Less likely, which is especially true if you went through a typical Nigerian School. How many of us craved this feeling while in school? How many were able to get this vibe about their classrooms and schools in general? I dreaded going to school when I was younger, especially when deprecating ultimatums are set by misdirected teachers that truly believed a low pass rate is evidence of a job well done, or having to be grateful for a chance at education while being crammed into overcrowded classrooms and almost no chance for learning. These conditions, however, did not necessarily stop students from having fun and decent grades in the process, but you can admit that the thought of what could have been if it were better lingers. 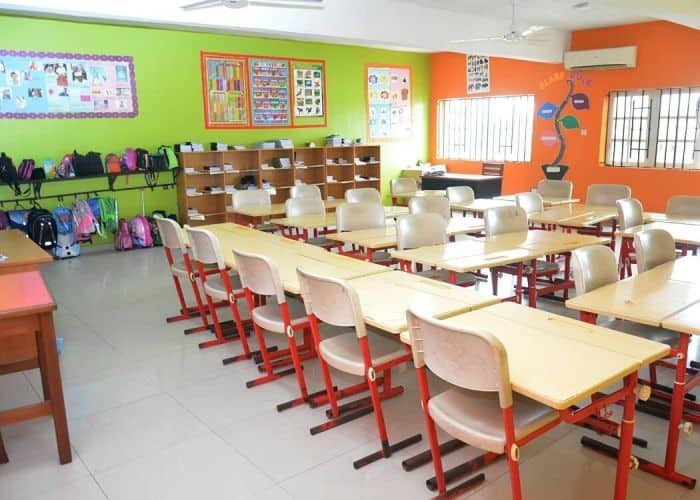 The physical environment is of high importance: Spacious and well-ventilated classrooms have correlated with good performances on the part of the students. 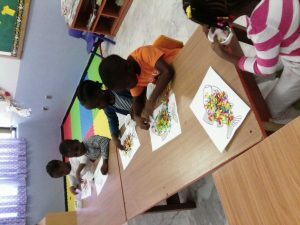 Having colours and decorations for the younger grades creates a very vibrant and welcoming environment while the right decorations leave positive impressions. 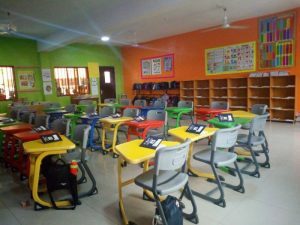 It is also important that the desks were arranged in a circular or ‘roundtable’ format, which has been associated with better effectiveness than the traditional coupled desk arrangement as it promotes a habit of complete integration and sharing of ideas. 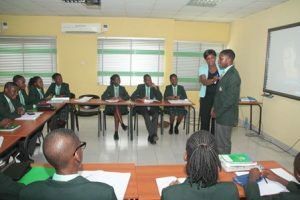 A classroom that propagates respect of views, classmates, learning, teachers and property tends to improve students’ contribution to class activities as well as in learning and building a positive attitude. Students’ and teachers’ respect for views and other members of the class is especially important because even when their views are wrong, rather than being mocked for it, the students simply end up learning something new, which would prevent them from shying away from expressing their thoughts for fear of ridicule or punishment. How well does the teacher carry the students along? What sort of atmosphere is created? Is it the one as aforementioned that ensures a safe feeling and openness and willingness to share? Is everyone irrespective of their learning capacity being carried along? Is the classroom making everyone feel equal and important to the success of the class team? Does it encourage interaction and discussion of complex ideas? Are the students made to realize that continuous assessments and examinations are not meant to ridicule anybody but to know how well a student is grounded in a subject and how best to improve them? We can only imagine the importance that an excellent classroom environment has in encouraging learning, assimilation, and perpetuating individual and collective growth. Finally, a classroom environment is one of the most important factors affecting student learning. Research has shown that students learn better and faster when they view the learning environment as positive and supportive. 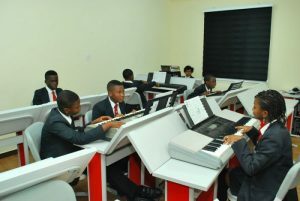 Therefore, good structures of classrooms should be a norm in schools and the teachers should focus as much on the ‘feel’ of the class as well as the content of the textbooks and delivery methods in order to help forge an expressive, critical thinking, inclusive mentality at the primary and secondary level for students that would aid their success in tertiary institutions and in their careers afterwards. 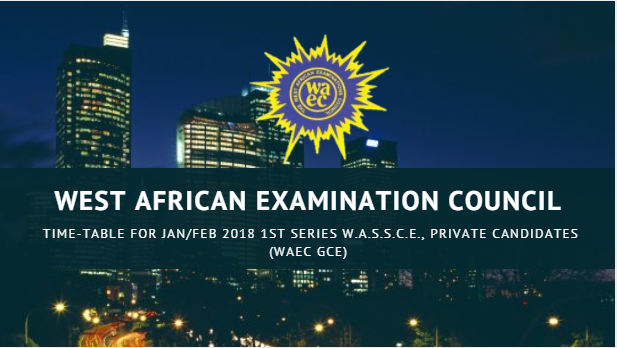 The West African Examination Council, WAEC has placed a ban on all private secondary schools teachers from supervising their internal and external examinations. 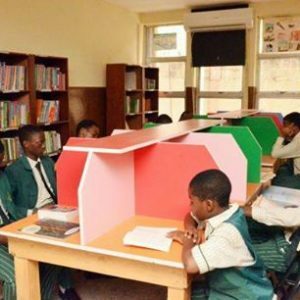 Is this action going to eliminate exam malpractice in Nigerian schools? Exam malpractice can be best described as a corrupt or illegal practice that is done deliberately by students and teachers during examination and it has different forms such as copying from another student’s test, copying from an answer sheet, bringing in cheat notes, plagiarism, colluding to obtain test answers, impersonating another student during a test and refusing to stop taking the test when the test is over. These actions are common during WASSCE exam which led to the banning of private schools teachers in Nigeria from supervising during WAEC examination. Furthermore, this information was made known to the general public by the head of public affairs of WAEC Nigeria, Demianus Ojijeogu that recently the said supervisors from private schools do aid exams malpractice because they have nothing to lose. They have no pension nor gratuity from their employers, so most of them mainly look for money during national examinations. It is believed that the familiarity between the students and schools teachers increases the chances of exam malpractice during WASSCE while some teachers tax the students in order to make extra earns but the banning of private schools teacher from supervising WAEC exam and the using of more WAEC supervisors during exam does not guarantee the elimination of exam malpractice but it can curb it to an extent because Humans in nature are corrupt. Hazards are activities, arrangements, or events that can cause harm. It also includes the situation where a person’s behavior might cause harm to someone else. To prevent any form of hazard, schools ought to be a safe environment for the students and teachers. Below are safety tips to help your school prevent and manage hazard. The schools’ electrical devices should be monitored to avoid electrocution by any open electrical cords and leakage from the cords in order to safeguard any form of electrocution of students or teachers in the school premises. 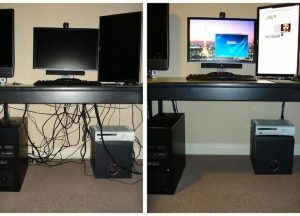 Do not overload electrical circuits, be careful of how many devices you are plugging into one outlet in order to avoid any electrical accidents. Since tiles have become ubiquitous in this part of the world, wet floor warning alerts should be set-up when mopping to prevent students or teachers from slipping. 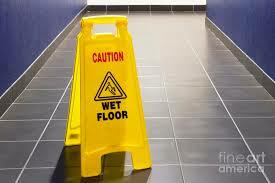 A wet floor sign is used to warn people about the wet floor and to prevent them from slipping and falling. 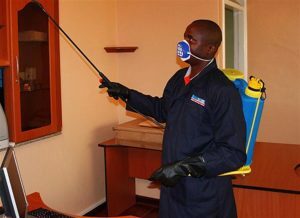 Fumigation is a method of pest control that completely fills an area with gaseous pesticides or fumigants ( that is why it should be done during school vacation) to suffocate or poison the pests within the school premises. 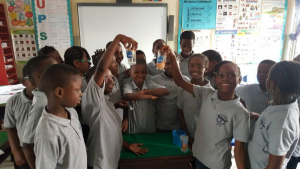 Some pests or insects are poisonous to the skin and some students react to a certain insect bite. And to prevent any form of skin health damage to the students, fumigation is needed. A health and safety representative is an employee who has been elected to represent the views of the students. This representative can be an individual person or a committee. 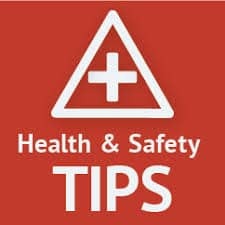 The role of the health and safety representatives is to represent the views of employees and students in order to mediate with the board on health and safety matters which means they stand as an intermediary for the students, teachers to the school administration. The school is required to consider recommendations of any health and safety representative or committee and either adopt the recommendation or give tangible reasons why they will not adopt it. It is necessary for schools to request for medical reports of the students from their parents so that the teachers can be aware of the health condition of their students and also know how to handle every child. 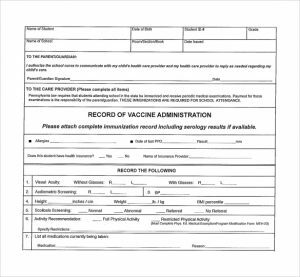 Furthermore, In case of emergency, the medical report (which contains medical history) of the child can be assessable and this can prevent the death of students in a school. The present schools provide gadgets (laptops, tablets, I pads) to their children and too much screen time can result in digital eye-strain, which can include burning, itchy, or tired eyes, headaches, fatigue, blurred or double vision, loss of focus, and head and neck pain are other threats for children using screens too often and too long. Therefore, schools should monitor the time students spend on the screen. Screen time should be reduced by introducing other fun activities that don’t require a screen to students. Unsafe areas are places that are able or likely to cause harm. 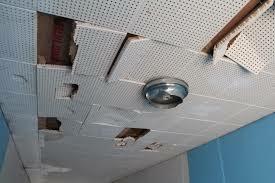 Schools should repair all unsafe areas within the facilities in the school. Check hazardous areas and make repairs an immediate priority. For example, if there are potholes on the playground or a classroom door that slams closed, ask the school teacher or cleaner to place those repairs at the top of her list. 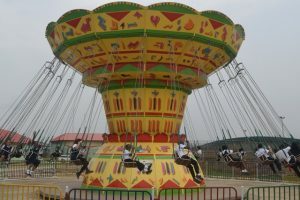 Furthermore, monthly inspections of playground equipment and facilities should be conducted by school health and safety representatives and repairs of any broken equipment or unsafe areas should be done immediately after the monthly inspection and any areas that have a habitual problem should be re-address. For example, if a piece of playground equipment continues to break, remove the entire piece of playground equipment. To avoid absenteeism due to minor health challenges, schools should ensure availability of sickbays within the premises. 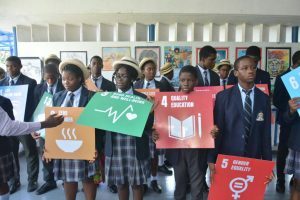 The sickbay should be well equipped and key health resources such as the first aid box should be readily available to provide support for injured pupils or students showing symptoms of an illness which has developed while at school. 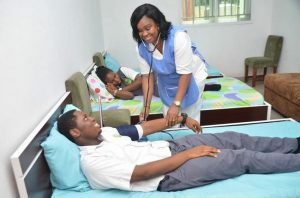 It is also advised that the registration of schools in a nearby hospital should be considered by the school administrator in case of emergency or situation that sickbays cannot handle. Classroom safety is an essential part of a school’s hazard management. Therefore, school administrators should ensure that their teachers are aware of classroom hazards and they are been equipped with the resources to create a safe learning environment for students and other staffs. An excursion is usually a brief pleasure trip. It is an activity organized by the school during which students leave the school premises to engage in educational adventures. Schools are encouraged to adopt the practice of excursion because of its tendency to add reality to learning experiences which consequently enriches the courses of study and motivate both teachers and learners. Furthermore, excursions give exciting educational experiences deeper than the regular school environment affords. It has been proven that visits to places like zoos, nature centers, community agencies (like fire stations and hospitals), government agencies, local business, and museums increase the chances of the learners retaining what is being taught in the classroom. 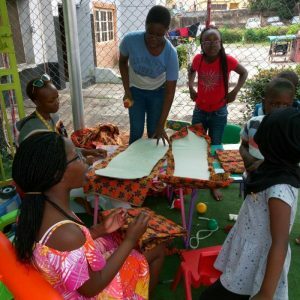 Findings also reveal that children learn about different professions, ideas, and opportunities when they travel outside their own neighborhood which increases their desire to try new things owing to the interest it sparks in them. 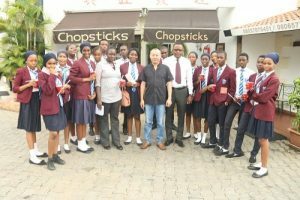 The students of Ladela went to Chopstick for an excursion and it is known as one of the Chinese restaurants with numerous food menu and cheerful meals in Abuja. Definitely, the students that have a great interest in catering or what they do there would have learned more and get inspired by what they see and they will be eager to achieve their dream in that aspect. 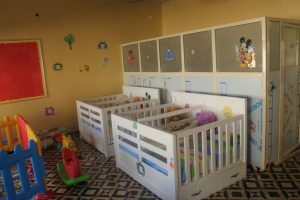 Most students don’t know the functions of UNICEF in the world, many have heard of it and they are curious about what this organization does and how they go about it. it has been noticed that the sensitization of UNICEF information online is limited to this Student. Going there actually widened the knowledge of the students on the numerous right a child possessive and at what rate at which this right has been violated in Nigeria. Excursion to an Organization like UNICEF can make these students pick an interest in being a human right activist. Excursion to another country gives the children exposure to different cultures and world viewpoints. Students on an international excursion get a chance to meet new people and make new friends, offering lots of opportunities to practice their social skills. Meeting new and making new friends will influence the children communication skills and language learning opportunities. We have been taught all about IDP camp and what happens there but most students find it difficult to believe. 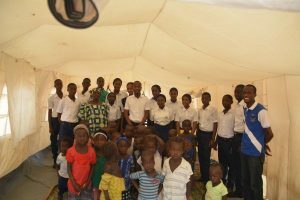 As the adage says “seeing is believing”, an excursion to one of those IDP camps will definitely make the student realized how true is what they have been told by their teachers and it will enlighten and broaden the knowledge of the children about IDP in Nigeria and nationwide. A beach is a place of relaxation but also for learning. an excursion is a fun thing and everybody likes fun. it has been discovered that the air at the beach does not only boost the children immune system but also help balance their levels of serotonin. This improves the children mood and reduces their stress levels, plus it helps them sleep better at night. 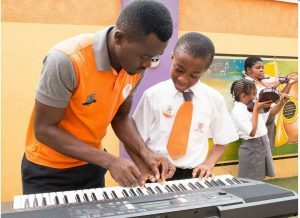 Most parents do not consider music search criteria when seeking to enrol their ward in a school. There is a tendency to focus more on the basic and standard studies in schools such as writing, reading, and arithmetic. 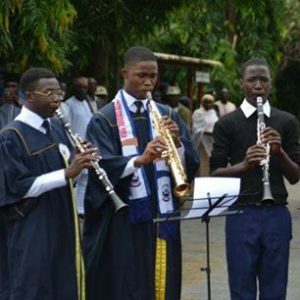 Little do they know that music is as important as other subjects. As we all know, music is the art of combining vocal cords or instrumental sounds (or both) to produce beauty of form, harmony, and expression of emotion. Music is a thing of the soul and mind. It improves the education of our children by helping them make a connection and broadening the degree with which they think and feel and it helps in building children’s intellectual development. Through music, the creativity and perpetual motor skills of the children are increased. The children find it easy to use their imagination or original ideas to create something. Music grooms the personal and social skills and also increase the emotional sensitivity of the children. 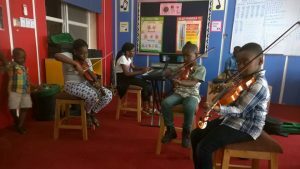 Music is an enjoyable subject that helps the skilfulness of memorization of the students and boosts the interest of the child to stay engaged in school. It has been discovered that musically trained participants remembered 17% more verbal information than those without musical training. 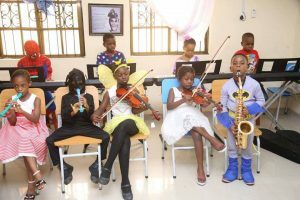 Doveland Schools has provided a beautiful classroom with musical instruments and instructor for music lecture and this shows that those in the administration know the importance of music to the children. Winfield Montessori School is committed to making music a recreational activity and enjoyable to their children. 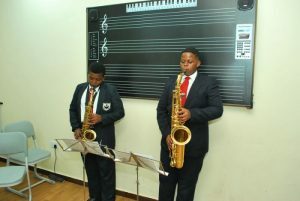 Glowing Ages Academy has music instructors who are patient to impact music knowledge to the children. 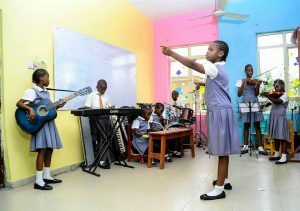 Just imagine a school with a music studio, Albesta Academy has created a friendly environment for their children to study music. 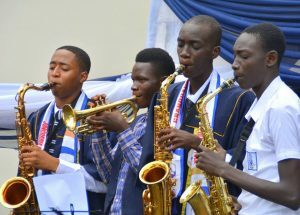 City of knowledge has created music band not just for learning music but also for learning how to play the different instruments. 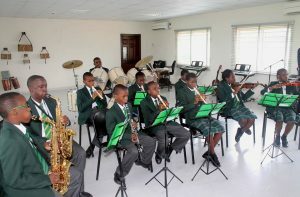 Alpha Covenant Heritage school has a session for music. 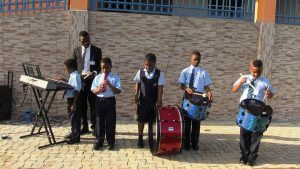 The preschool pupils are taught how to be self-reliant and organised in music. 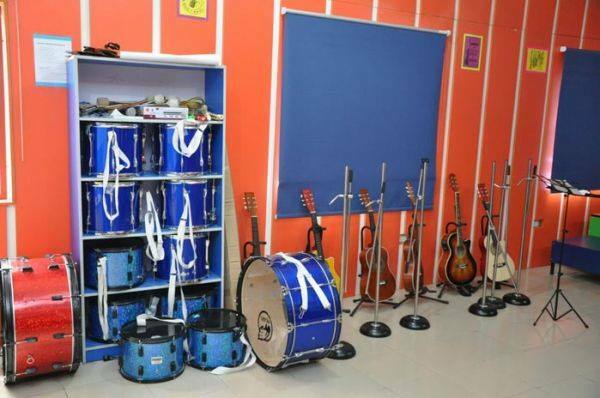 Grenville has a standard music classroom with musical instruments which are used to train the students. We don’t think our list is exhaustive and we will be happy to add more schools. To add your school to this list, simply comment with the name of your school in the box below, sign up or log in to your profile on SchoolsCompass and upload the image of your music activities. 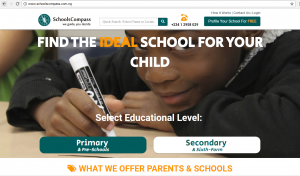 Thanks for helping Nigerian parents choose the best schools for their wards. 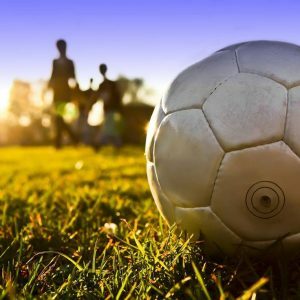 Grade-conscious parents tend to question the rationale for sporting activities in schools; Little do they know that the benefit of sports in school isn’t merely physical. 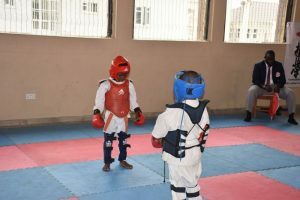 Sports has been identified to play a major role in building the self-esteem and mental alertness of a child; it is a constitutional part of a child’s life. Of course, a child should study hard to excel in examinations, this, however, should not be to the detriment of enjoying the health and vigour of life which engaging in sporting activities provides. All work and no play makes the proverbial Jack a dull boy. Children who actively participate in sports have been reported to exhibit increased social relations and higher self-esteem. Sports, therefore, meets the physical, emotional, social, physiological and intellectual needs of learners. 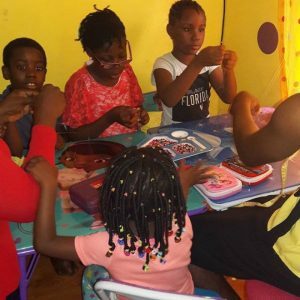 Through play, children are able to relate to their unacquainted world and gain the desired experiences. 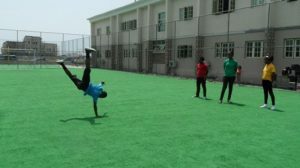 Top schools in Nigeria do not only integrate sports into their curriculum, they provide facilities that enable students to recognize and develop their sporting talents. 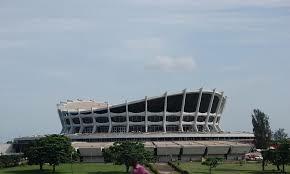 In no particular order, here are top schools in Nigeria with amazing sports facilities. 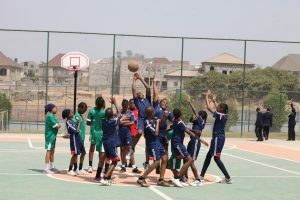 There is a standard basketball court in the school where students come out to play and interact. Do you know that it has been discovered basketball build endurance and develop concentration and self-discipline in students? 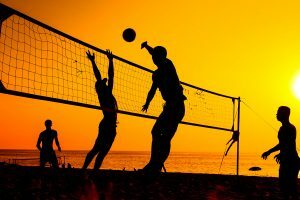 it is a social sports that teaches students how to become a good team player. 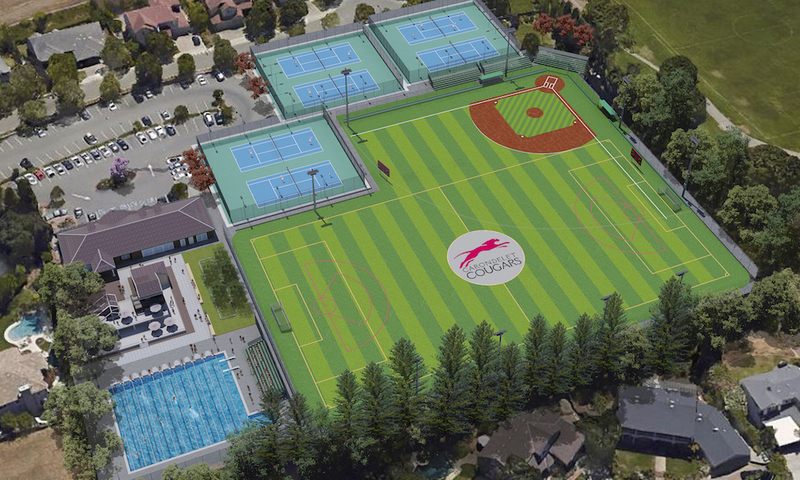 White dove Schools has a Football pitch with a natural turf. Majority of students in schools have a great passion for football. With a football pitch in a school, it will help the dreams and passion of those students to keep burning. Many believe that Acrobatic exercise should be done by adults but the best time to start this Acrobatic exercise is during childhood. It is a source of physical well-being and it helps the flexibility of the body. Silversand has an acrobatic class for the children. 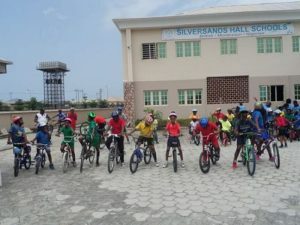 Silversands High School encourages cycling as a sports activity in their environment. it has been discovered that cycling is aerobic which help to work out the heart, blood vessel and lungs. 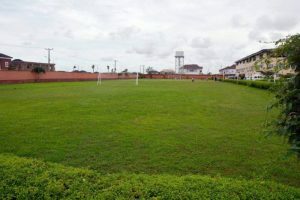 The Bell Comprehensive Secondary school is known for its indoor sports activities such as long tennis, basketball, volleyball etc. Playing indoor sport is an excellent measure where children spend their leisure time. it has also been discovered that indoor sports activities aid relaxation and social interaction in children. We don’t think our list is exhaustive and we will be happy to add more schools. To add your school to this list, simply comment with the name of your school in the box below, sign up or log in to your profile on SchoolsCompass and upload the image of your sports facilities. How to Stand out and Prepare Your Students for 21st-Century Life! Agata Wilam, the founder of WhyBlueSky is helping teachers deliver instructions better through Activity Based Learning (See our post on other learning strategies). WhyBlueSky’s program includes the tasks that enable the teachers to fully experience what learning by doing is. It also includes an appreciation of skills which ensures that students develop competencies and skills that are essential for a successful life and satisfying employment. 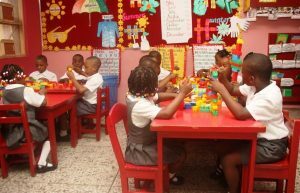 The teacher training program was built on the successes of The Children’s University which was an afterschool program based on exploring children’s curiosity. 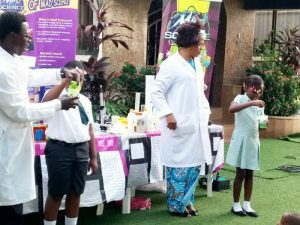 As at the time of publishing this post, The Children’s University had over 600,000 children, parents and teachers engaged. WhyBlueSky co-creates the Polish education system- the fifth one in Europe and eleventh in the world, according to Organisation for Economic Co-operation and Development (OECD). What exactly does the WhyBlueSky programme consist of? -resource boxes: materials that make learning by doing easier and more fun. The teachers use WhyBlueSky courses via the app- “Mobile Academy for Teachers” either individually or as a team: After which they go to their classrooms to practice what they have learned with the students. During the whole program, they can use the materials from the resource boxes. WhyBlueSky has recently set up an office in Lagos with a qualified team of people, to operate directly in Nigeria and for the Nigerian. Educators, who understand the needs and requirements of living in the 21st century, and are ready to invest in your school’s development can request a visit by the WhyBlueSky team between 29th November and 9th December. A visit from WhyBlueSky avails you the opportunity to get familiar with- either a presentation for the management team in order to present the WhyBlueSky tools or a presentation for the management and, in addition, a workshop for teachers conducted by the WhyBlueSky team. You will have a chance to check how the training program works in practice!